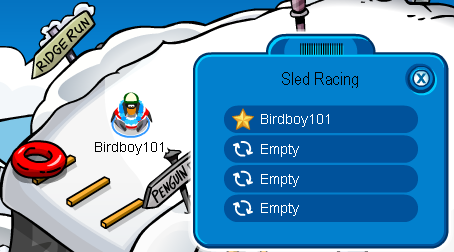 Yes, I’m still alive, but I lost interest in Club Penguin throughout the days. I’m getting older, I’m getting busier, so I’ve quit playing this game, after 1,000’s of days making friends and having fun. 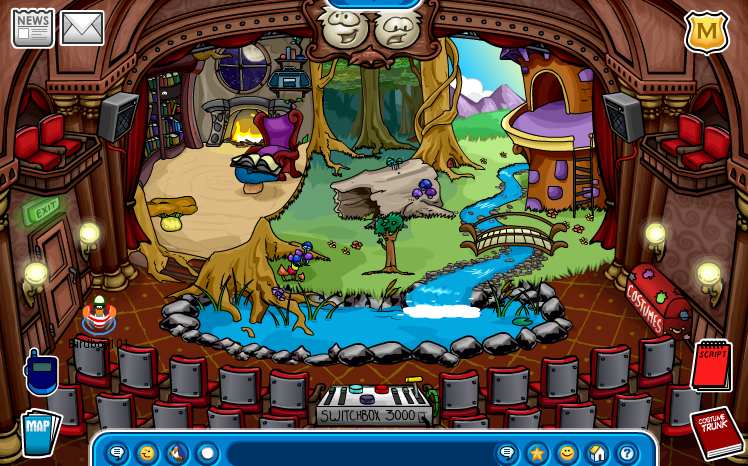 I may visit CP once in a while, I still talk to few people I’ve met, but I will no longer post on this website. I just remembered about my site today, took a little trip down Memory Lane, looking at all the work I put into this. Thank you to all people who gave me positive feedback, people who’ve helped with my site, or others that even became good friends with me. 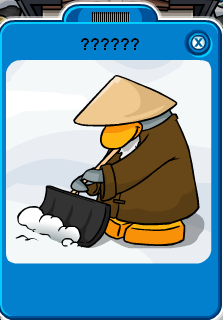 I want to wish you all a great day, and have a fun time playing Club Penguin! Here are all the hints,cheats, and secrets for the January to February 2009 Furniture Catalog! Click the Terracotta Sun to get the Superhero Stage Poster. Click the Velvet Rope to get the Welcome Mat. Wow…okay that’s it? Sorry guys no more here! Enjoy decorating your igloo with some fiesta spirit! Remember this only happens until January 18 so don’t miss your chance! You can also play at the Dancing Contest! There it’s a game of DDR, like the ones you see at the arcades! OH MY GOODNESS IT’S A ROOFTOP. Yeah I know, isn’t this sweet? Also check out the completely new Dance Lounge! Red- Stand next to play the instrument! Hope you all have fun! 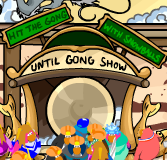 Don’t forget the Dancing Contest can be played against other penguins too! 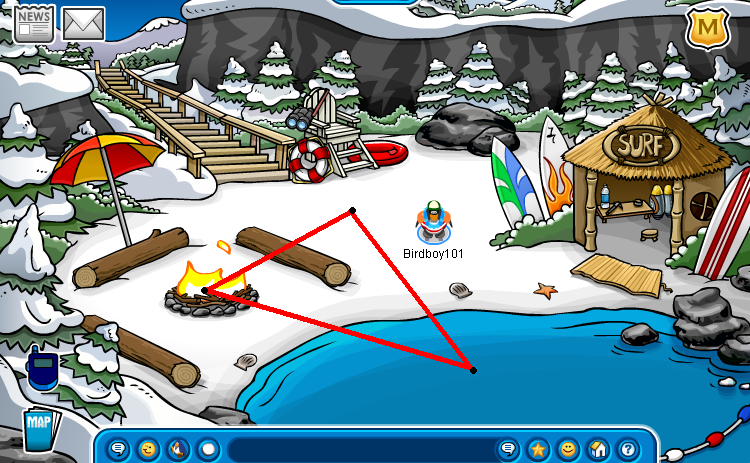 Watch out fellow citizens of Club Penguin. Squidzoid is back and more powerful than ever! But don’t worry because our favorite heroes are back: Shadow Guy and Gamma Gal! Check it out penguins! For all of those members out there, Club Penguin sure has a treat for you! A member party will be held on January 15-18. Billybob said the clothing catalog will come in handy…Maybe it’s a member disco party? Here, take a look at the sneak peek! Cool, huh? I think that’s a music note on the left…Well I can’t wait! And if your not a member, don’t worry because I will post pictures of the party for all of you to see what your going to miss out on! All member penguins, get ready to party on January 15-18! Happy 2009 everybody! I can’t wait for what’s coming up this year. Comment below if you have any new year resolutions. Also share what you did for New Year’s! I went to a party and there was a lot of drunk people…Anyways, I hope you guys have a great start to a year 2009! There’s a new coloring page that just came out. Wanna see it? Click the picture! Sorry for those who see most of my pictures getting cut off because they’re too big to fit into the space. Some of you don’t see them cut off (Like me) because your screen is either big or a widescreen. Some of you just have square shaped screens and the pictures are too big. Sorry for that, so from now on I’m changing the style of my posts. Like I said, if you’ve been tracking my posts and you come on almost everyday, I said my website is under construction. Thanks for all your support and I will fix this problem immediately. There are some questions after Saturday’s blog post about the Treasure Book update. New Club Penguin toys will be available in the next couple of weeks – and those new toys have codes that will access the updated book. But if you have a toy from the first wave of toys (like the Santa, Elf, Rockhopper, Shadow Guy, etc.) your code will get you into the first Treasure Book. Sorry for any confusion! We hope you’re enjoying the Christmas Party. The team put a lot of effort into decorating the rooms so hopefully you’re finding some fun surprises as you explore. Now check out the new log-in screen and the new exclusive Treasure Book Items that are coming up soon! Go to the Ski Lodge for the Present Pin. Go to the Ski Village for the Santa Beard. Go to the Snow Forts for the Santa Hat. Go to the Book Room to enjoy 3 new Christmas books! Also the Ice Rink is finally back! Also for a heads up, ALL the rooms are decorated besides the Sports Shop, the Lodge Attic, and the Gift Shop. My favorite part is the Dance Lounge! The whole room is a toy making room, so elves, Get Ready! BIRDBOY101 WISHES YOU A MERRY CHRISTMAS AND A HAPPY NEW YEAR! Oxford St., Bluewater, Manchester Arndale, Liverpool 1, Belfast, Metro, Cardiff, White City, Bull Ring (Birmingham), Milton Keynes, Nottingham, Chester, Trafford, Meadowhall, Cribbs, Leeds (White Rose), Glasgow. In Other News: Lots of you have commented on the boxes that are around Club Penguin – The Christmas Party starts this Friday and the team’s busy getting everything ready! We’d love to know how you and your penguin friends are preparing for the holiday festivities! 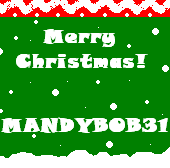 Christmas Spirit in Club Penguin! Let us know what you think you’ll do first when you log in on Friday! In Other News: For those of you in the UK, the team’s been working hard on something – I can’t say more right now, but check Saturday’s blog for some exciting information! Hmm… I bet Club Penguin is working on getting the toys over to UK! (SCROLL DOWN FOR CATALOG SECRETS). Here are the new items for the treasure book! 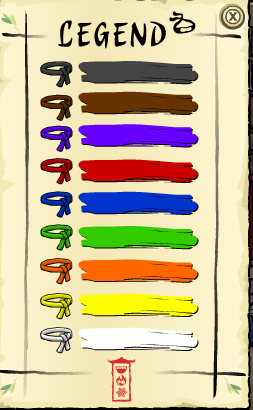 Click the bottom four lights to get the Yellow Scarf for 150 coins. Click the top of the tree to get the Russian Hat for 600 coins. 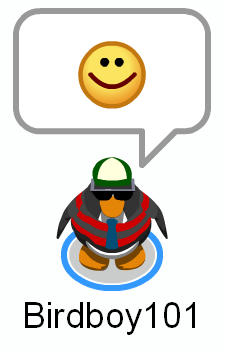 Click the red penguin’s face to get the Viking Helmets. Blue- Open and close 4 times. Click the bow in her hair for the Pink Pom Pom Toque for 200 coins. Click the Lighthouse to get the Red Hoodie for 400 coins. 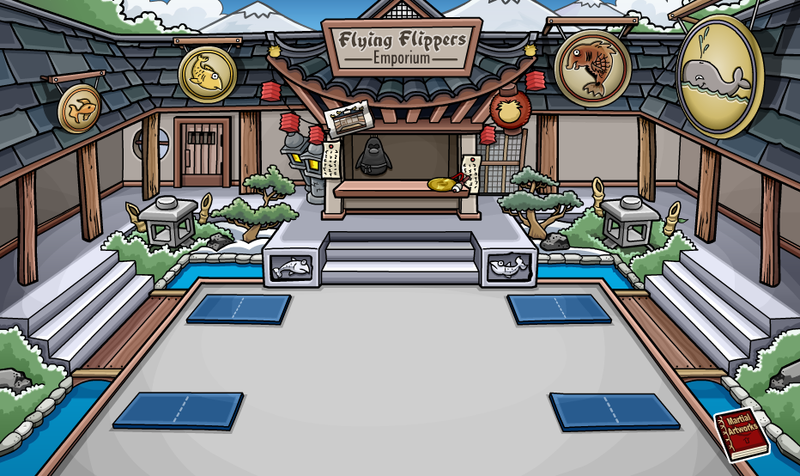 Click the pink flipper to get the Black Superhero Mask for 100 coins. Click the coin icon to get the Black Scuba Mask for 200 coins. CHECK OUT MY CONTEST BY SCROLLING DOWN! 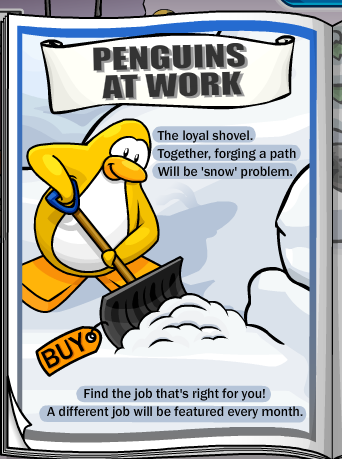 ALSO CHECK OUT THE NEW WORKING OUTFIT AND BACKGROUND! Sorry about the Whos.Among.Us widget ( The one that shows how many are on). There has been a problem and it reset! If you click the widget, it will show the map, but all the the locations of the past viewers are gone! I wanted to give you a quick update on the Treasure Book. 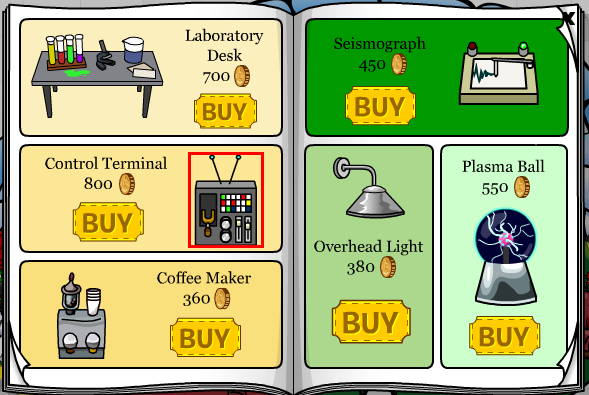 When we first put this book together we wanted to give you the opportunity to collect some of your favorite items from Club Penguin that aren’t always available. Because Christmas is coming soon, we thought it would be fun to update the book with a few seasonal items. Starting on Friday, Dec. 5 you will be able to use the codes you have from toys to unlock different items in the Treasure Book! The items that are currently there will still be available, plus a few different items. As always, let us know what you think and even what items you’d like to see in the Treasure Book in the future! What do you think? I’ll have more details soon, so stay tuned! It might be fun to get prepared for the new mission by playing the previous ones. If your penguin is 30 days old, you can take a quiz and apply to be a Secret Agent. Just click the M on the top right of your play screen, and then click the button that says “Become a Secret Agent”. 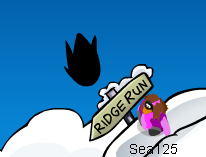 In Other News: I just heard that Rockhopper will be coming back before too long. His ship isn’t visible on the horizon yet, but keep your eyes open for it. Remember, a total of one million dollars will be donated to those causes, and with your coin donations, you’ll help to decide how to split the money. Every coin matters so even if you can only donate a little, you’re helping to bring big changes in the world. I couldn’t wait to donate my coins! I really wanted to help the poor, and so I went over and got out the coins out of my wallet. As I was about to put 750 coins into the basket until I heard a lonely penguin crying in a corner. I slowly walked to the weeping penguin. “What’s wrong?” I asked. He heard my voice and looked up with his soaking eyes. “Well, *Sniff* I was really getting ready to give my coins to the poor, but then I spent them on the new items in the catalog and I feel really bad now!” He cried. What a baby, I thought. But then I gave him an idea. “Hey, no worries! Just use Penguin Storm and hack the coins!” He gave me a big question mark, but he tried it anyways. The next day I saw him jumping up with joy. “Wahoo! 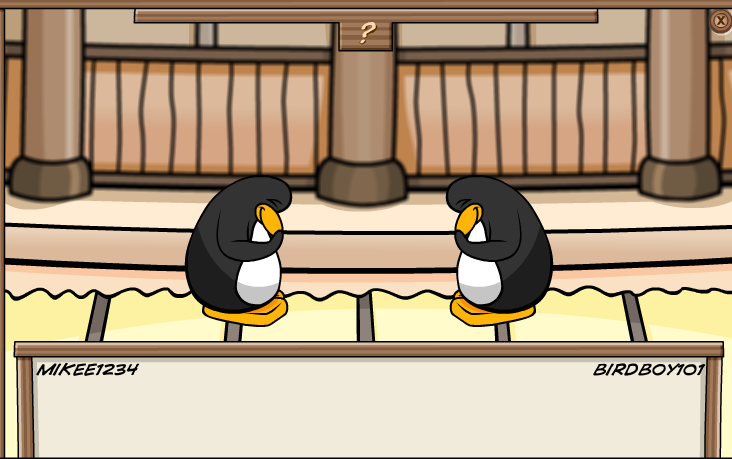 I gave away 45000 coins!” All the penguins in the Plaza heard him, and they became curious. “How did you donate so much already?” They asked, and he yelled out as loud as could; “I HACKED THEM!” The crowd went silent and reported him. He got banned and I never saw him again. 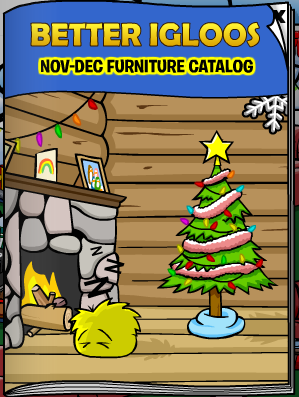 There are some exciting new clothing and furniture items in the new November 2008 Sports Catalog, plus a hidden item! 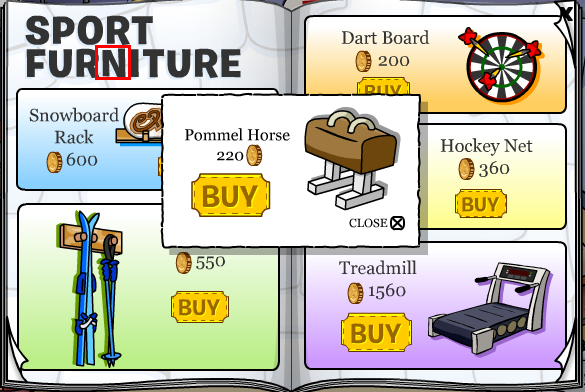 Click the “N” in “FURNITURE” to get the Pommel Horse for 220 coins. Also check out the new clothing items! It includes Figure Skates, a Purple Figure Skating Dress, Snowshoes, Hockey Skates (No, not the rare ones! They’re in black and white! )But they also have the rare hockey items, such as the Hockey Jerseys, the Hockey Stick, and the Hockey Helmets! Go see for yourself! In Other News: The response to the Elite Penguin Force DS game has been awesome. If you’ve already had a chance to play it, we’d really love to hear what you think of the game! (Not an edit) Before this happened, right when I logged in I had the ninja belt and mask, even though I wasn’t a ninja. But then I got angry when I found out it was only a glitch. Then I kept opening and closing the player card and it kept happening over and over again. Weird, huh? Has this happened to you? New Play and Furniture Catalog! I met the beta Man101 today! Anyways, there’s a new furniture catalog and a new play! Now for the secrets! 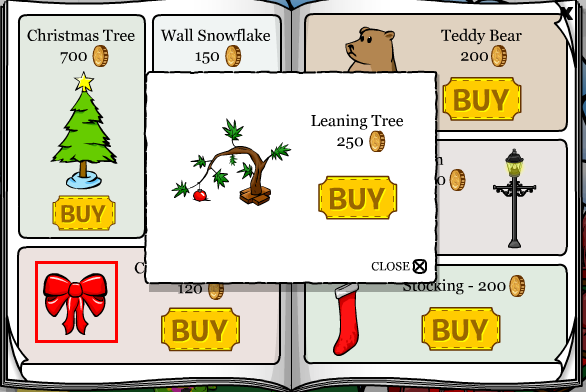 Click the Christmas Ribbon for the Leaning Tree for 250 coins. 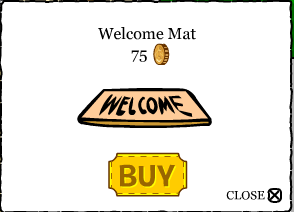 Click the Control Terminal to get the Welcome Mat for 75 coins. 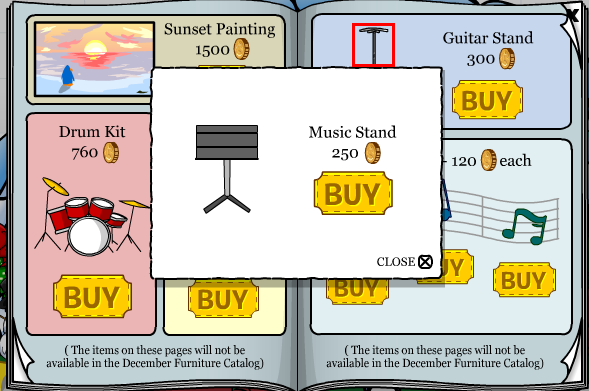 Click the Guitar Stand to get the Music Stand for 250 coins. 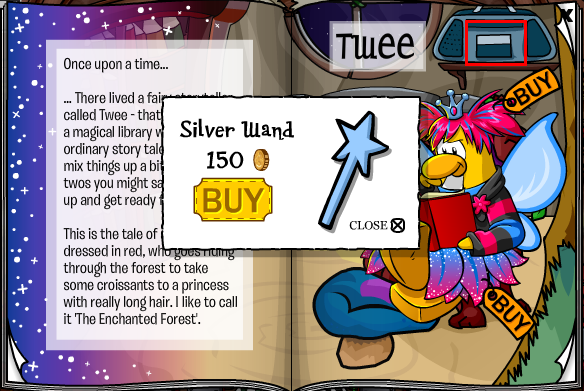 Also in the new play, if you click the boom box, you can get the Silver Wand for 150 coins. 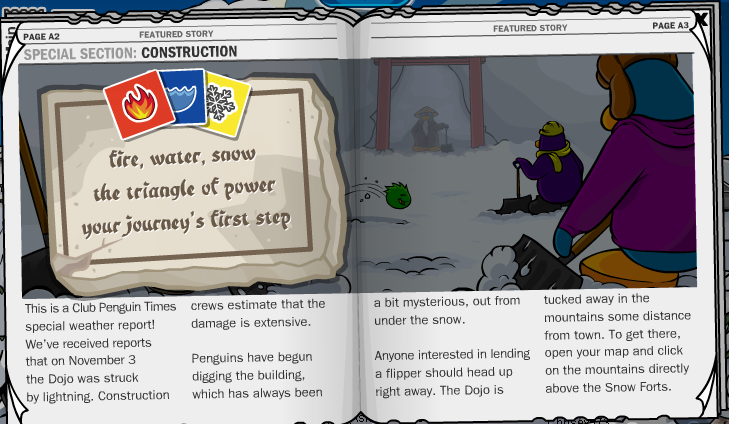 Once you become a ninja, you can unlock a secret room an a ninja catalog! 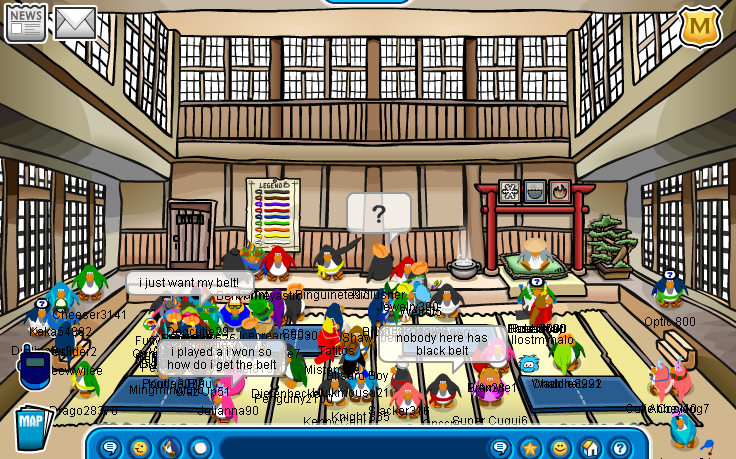 I know some of you are frustrated because Club Penguin is so slow and the Dojo is almost always full. But here are some pictures for you to take a peek! You will go up ranks through the belts like normal. 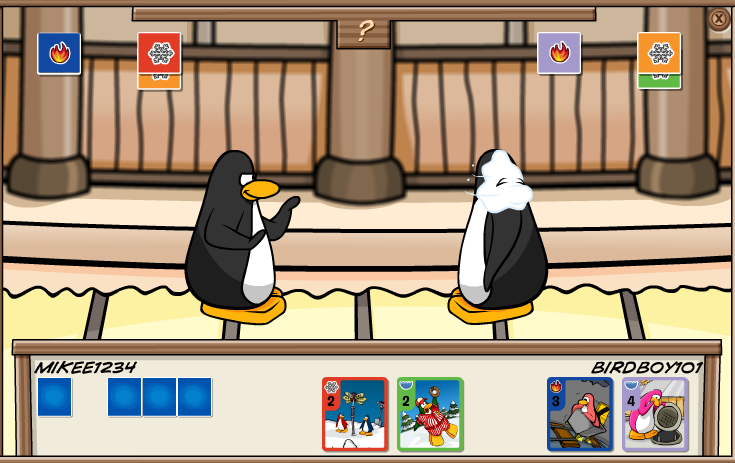 After you get the black belt, you can fight Sensei in a battle of Card Jitsu! Here is a picture of me talking to him! Hope you guys can get in the game! Credit to Tyra Banks3 for telling me how! WAHOO! 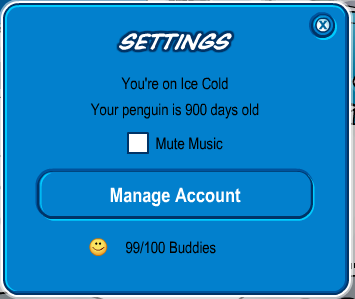 Today on Friday, November 14, 2008, Birdboy101 has turned 900 days old on Club Penguin! WAHOO! SCROLL DOWN FOR DOJO UPDATES. Now you can see what server you’re on, and you can mute music, so you can listen to your own tunes while playing! 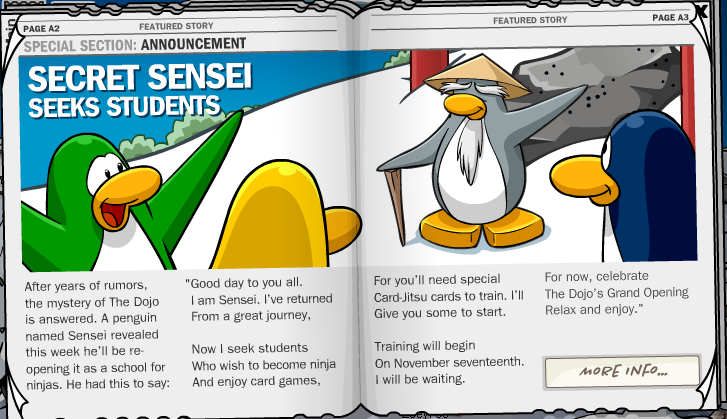 Well, found in the newspaper, his name is Sensei! 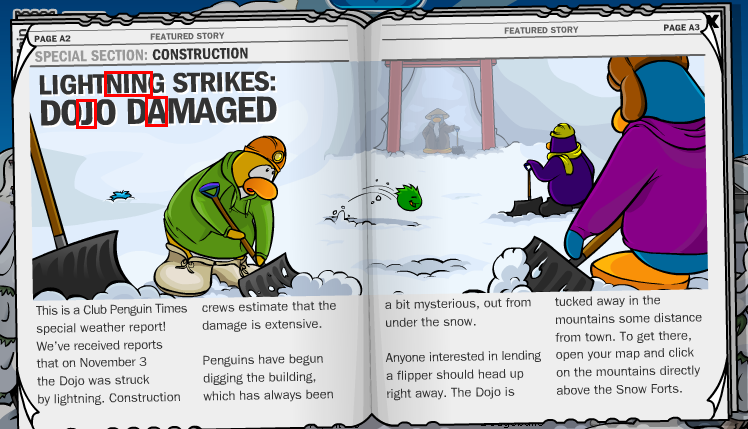 I wonder what the Dojo would look like…Anyways, a new play inspired by penguins like you will be open on November 21. Wait until every 10 minutes (Ex 4:10, 8:20 etc.) and the shadow will turn into a penguin! Oh yeah, thats my buddy! Note: Waiting time varies. Go to Andreasmich website for all the ninja sightings. Hey peeps! 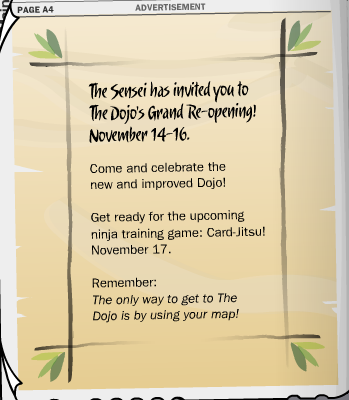 Big news,The ninjas come November 17 (Which is 10 days before my birthday! ), as you can tell by checking out this sign! Also there is a ninja poster! 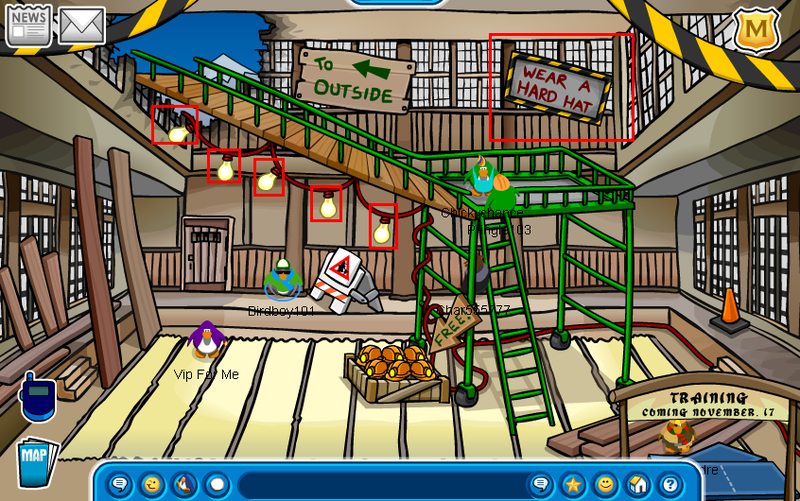 In the Dojo, click each of the light bulbs and then click the sign that says “WEAR A HARD HAT”. Then a poster of a ninja will show up! Click each letter of the spelled out word “Ninja”. 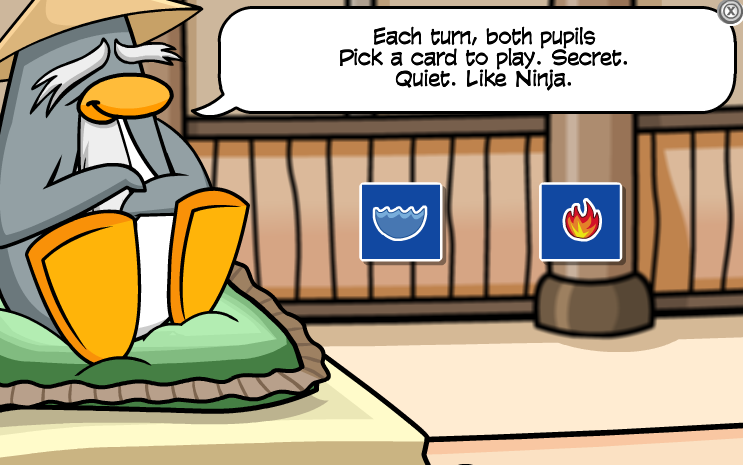 There will be a secret ninja message that comes up! Could this be about the Cove? The “Triangle of power” seems to appear here, the Cove! 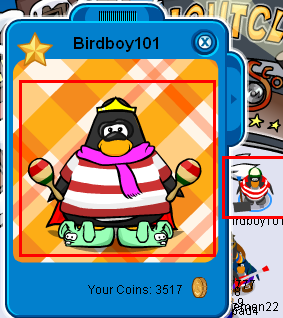 I AM PROUD TO ANNOUNCE, TO BE THE FIRST BLOG TO HAVE THE NOVEMBER 2008 CLOTHING CATALOG SECRETS CORRECT AND THE NEW PIN LOCATION! The recent comments I got really made me happy! I hope I can boost my website into more popularity. I’m at a low amount of hits right now but the average I get a day is probably about 30-60 views a day. So I just hit a new high at 77 views, and the day hasn’t even finished! Thanks to whoever helped me get some views! 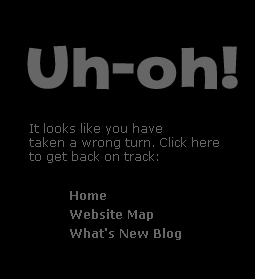 If you go to http://clubpenguin.com/ninja/ there will be an error page, but in black! Hello peeps! 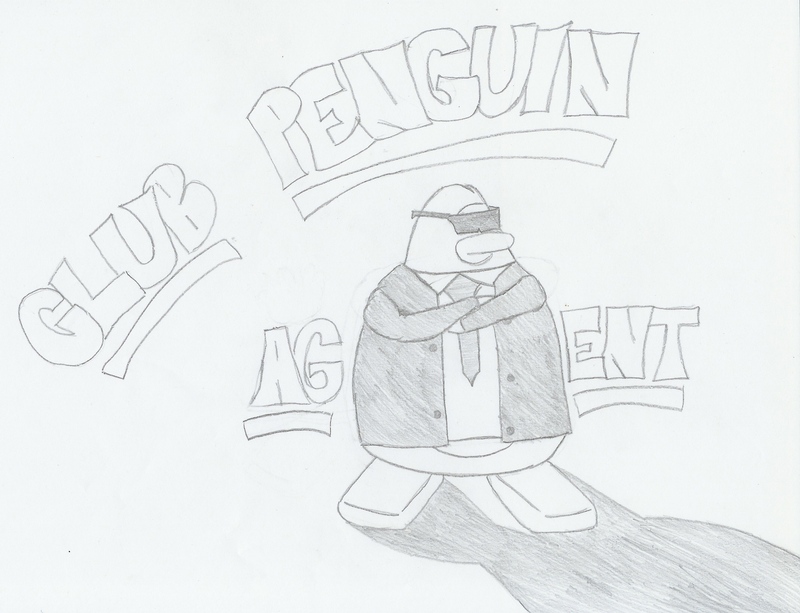 I’m entering ClubPenguinBC.com’s drawing contest! Wish me luck, and heres a picture of my drawing! This was finished within only 20 minutes!